Pounds Regime Records Signs ‘Majesty’ As Its Maiden Artiste. 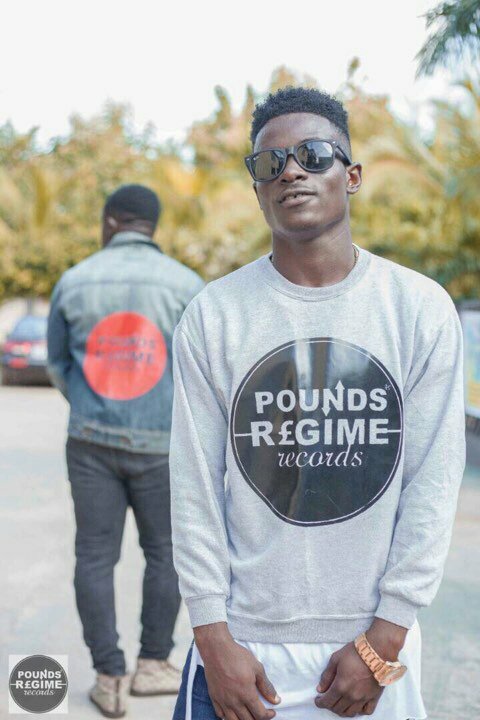 Versatile Ghanaian artiste; Majesty, is the first artiste to be signed to Pounds Regime Records. The label which started barely a year ago made this giant move after seeing potential in the artiste. Explaining the purpose behind the signing of Majesty, CEO and Executive producer of Pounds Regime Records Edward Osei Mensah said the label was attracted to Majesty’s musical talent and it could be told that He is great music talent suitable for any platform in the world. “A lot has been done behind the scenes before outdooring this news. We have already recorded a couple of songs and will be releasing his first record in a week or two. Branding among other thing stated in the contract have already been done and we are yet to shoot a video for the yet to be released song. As the first act to be signed unto the label, a lot of work is been done to make sure he has the right push to showcase his talent.” the CEO of Pounds Regime Records stated. Majesty gave thanks to all those who have helped him throughout the year until now and promised to show greatness with support from Pounds Regime Record. Details of the deal were not put to bare in full but it was noted that, the label has signed a 5 year contract with the artiste which entails Video and Audio production with an extensive promotion and a professional branding to set in in the quality standards. Born Nana Osei AKoto Asomaning, Majesty hails from Ejisu in the Ashanti Region of Ghana. His love for music started in Primary school where He would sing and perform from Obrafour, Sarkodie, Yaa Pono, Criss Waddle and other few. Growing up in Bantama, Majesty’s music was influenced by the nearby surroundings He grew up in. As a student of Aggrey Memorial, He has the chance to perform on campus and most parts of the central region. Majesty started writing down his own lyrics when He was in Junior High and finds inspirations in different places but mainly from Ghanaian artistes like Sarkodie, Flowking Stone, Okyeame Kwame and The Skilion guys. Due to his versatile self, Majesty refuses to attach himself to a single genre of music. We say congratulations to Majesty on his new deal while we await his new music.